Brian’s note: Ken Love popped onto my radar in summer 2013, when I watched The Fruit Hunters. I was fascinated with Ken’s and others’ quests to far-flung places for the sweetest, juiciest and most satisfying and divine fruits on the planet. This viewing came a few months before I touched down for a visit to Thailand, so my appetite was whet for some of what Ken was enjoying. 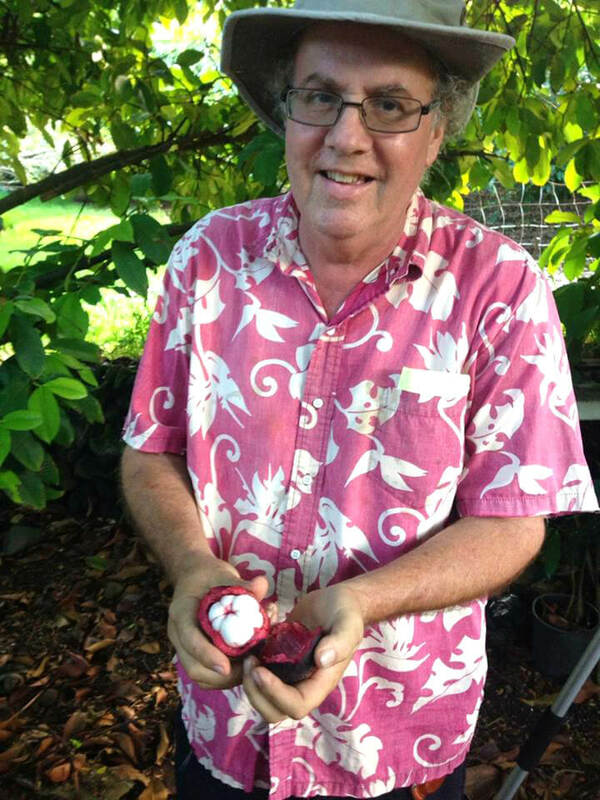 Ken has pursued the world’s choicest fruits for almost 40 years and is the executive director of Hawaii Tropical Fruit Growers and a committee member and former president of the American Culinary Federation Kona Kohala Chefs Association. Enjoy this long-overdue interview with one of the biggest fruit lovers alive! 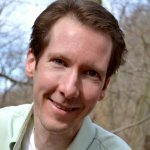 Ken Love answers questions by Brian Rossiter in this Closeup interview, conducted by email. When and how did the moment come when fruit became a passion for you? I’ve thought about this for years, and there are really two different things. The first is that my father would bring hoe-dried figs and fresh persimmons when I was very young. I always loved them but never saw them when my mother took me shopping. I still don’t know where he got these things in the 1950s in Chicago. The second was when I first came to Hawaii in 1980 or so and was given a cherimoya and had no idea what to do with it. When I was told to eat it, I couldn’t believe there was something that good that I didn’t know about, having already worked as a chef. It opened up this whole new world for me. Most have eaten, if they’re lucky, several dozen varieties of fruit. Ken, are you into having enjoyed hundreds of varieties or thousands of varieties by now? It depends how you define varieties as genus, species or cultivars. I think I must have had 200 different types of avocados, so if you count that as 200, then well into the thousands. I’ve had over 1,000 types of grapes alone. 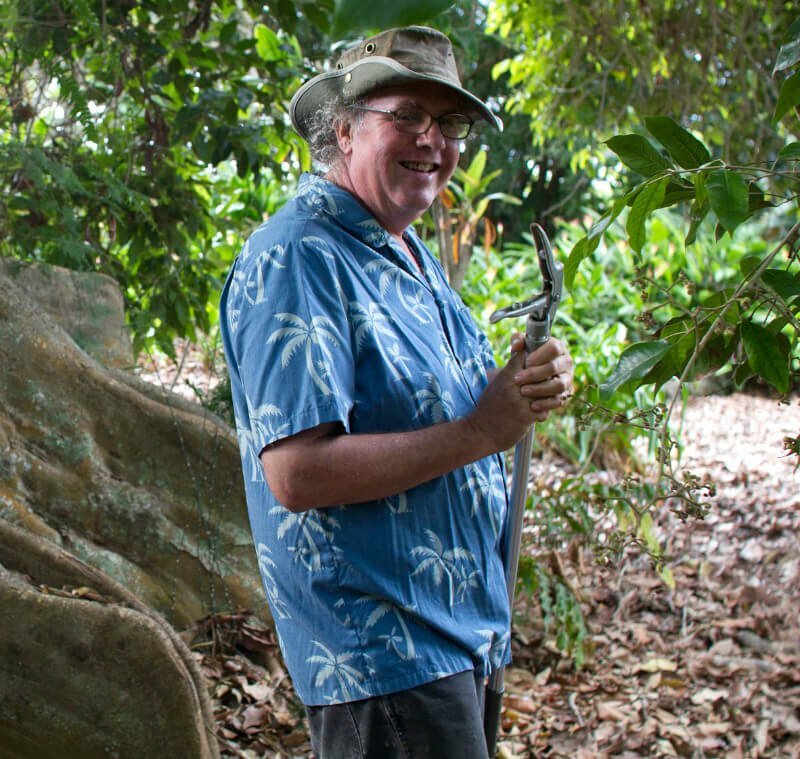 Ken Love is photographed among glorious trees while on a fruit expedition. 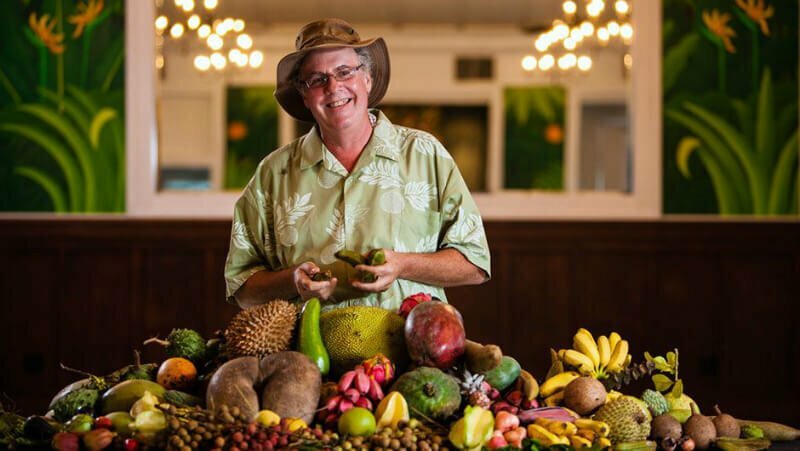 Ken has traveled to 60-plus countries and feasted on thousands of varieties of fruit. He is recognized as one of the most knowledgeable fruit lovers alive. How many countries have you explored in search of the world’s choicest fruits? Which countries offer the best in taste and variety? I’ve been to about 60 countries, I think. I’ve never counted. Nothing beats the quality of temperate fruit in Japan. Nothing beats langsat, marang and my favorite, durian, in the Philippines. I’ve enjoyed avocados in Kona, Hawaii; figs in California; and pomegranates, mango and, of course, jackfruit in India. So many fruits, so little time. You must have some great stories about finding and eating fruits. 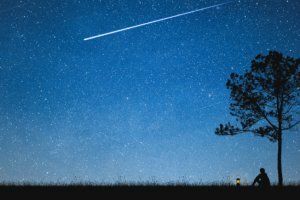 Can you share one or two colorful stories with readers? I think the most exciting thing for me is to find something close to home that, after pushing 40 years of looking, I never saw before. Water apples (Syzgium aguem), for example, or kwai muk or even a lychee seedling—that is extra special. What are your 10 favorite fruits and why? Jaboticaba: It’s a cross of so many complex flavors and very refreshing. Jackfruit: So versatile and edible at any stage. Durian: There’s a reason it’s called the king of fruits, although I think jackfruit is the king maker, as they say in India. Loquat: The first fruit I really specialized in working in Japan with them. Figs: I can’t stop eating them fresh or dry. There is something about a fig that reaches into my genetic memory—true about jackfruit, too. Marang: Who needs desserts when you have a ripe marang? Tangerines: Never underestimate the power of citrus. Tangerines are so totally refreshing and healthy that I always feel good when eating them. Kyoho grapes: For me, these are one of the best of over 1,000 grapes I’ve tried. I think nothing of spending $50 for the perfect bunch in Japan. It’s worth the experience, and I’d rather have this than some fancy dinner. Kokum: It’s a relatively unknown fruit outside of South India. It’s first cousin to mangosteen, which is OK but a little cloyingly sweet for me. Kokum is the basis for a lot of Ayurvedic medicines and has a unique sweet tart component. Green sapote and abiurana: If I were 40 years younger, I would plant all the acreage I could of these two. Green sapote is like chocolate pumpkin pudding, and abiuran is like caramel vanilla custard pudding. Rollinia is like lemon caramel vanilla custard pudding—I wish we had more to share and sell. 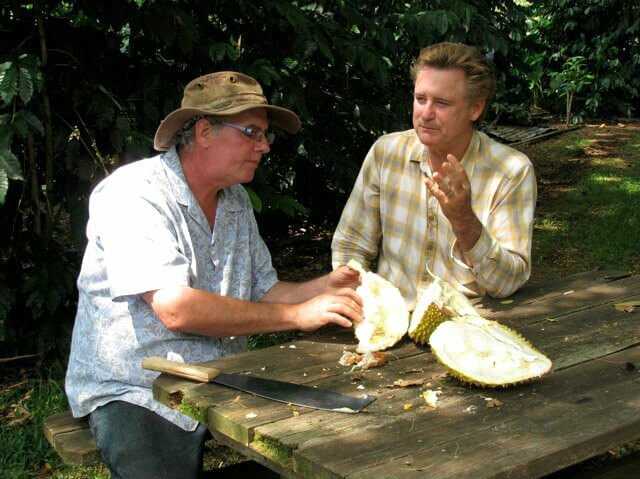 Ken Love eats durian with Bill Pullman, who also starred in The Fruit Hunters. Do you avoid any fruits? If so, why? The only thing I can think of that I don’t like is called governors plum. When fully ripe, it just doesn’t agree with me. Are there any fruits you’re still yearning to enjoy for the first time? How much does fruit factor into your diet? 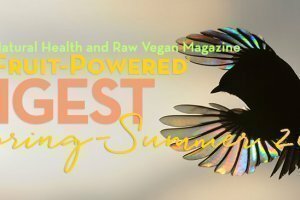 What did you observe in yourself and your connection with nature as your fruit intake increased? If I had a choice, I always choose fruit over something else and am trying to get the new farm to that point. Still, there are times I slip up and have something I shouldn’t. Ken Love appears in a promotional photograph for The Fruit Hunters. How much fruit and other foods do you have growing in your yard? Walk readers through what they’d find on a visit to your Hawaii home. This place is only three years old and the eighth and most likely last farm I’ve made in Hawaii. Besides about 300 fruits, i have daikon, gobo, shiso, carrots, peppers, eggplant and a bunch of spices growing. I like tajine cooking, so I just walk out and pick things that go into the pot. It’s great to have fresh organic veggies daily, especially when I throw in a bunch of figs and other fruit. When was the last time you bought fruit in a market? I wanted to try cotton candy grapes and a new melon that hit the markets in Hawaii. Also Choice Mart, our local store, buys a lot of local fruit, so it’s fairly common that I’ll get something there. Also, a lot of the farmers trade since we produce at different times and different elevations. You’re executive director of the board of directors of the Hawaii Tropical Fruit Growers. What is this organization’s mission and what activities does it engage in? HTFG’s mission is to promote any and all aspects of tropical fruit in Hawaii. This includes collaboration with the state, university and feds as well as each other. We have about 800 members statewide with a chapter on each island. 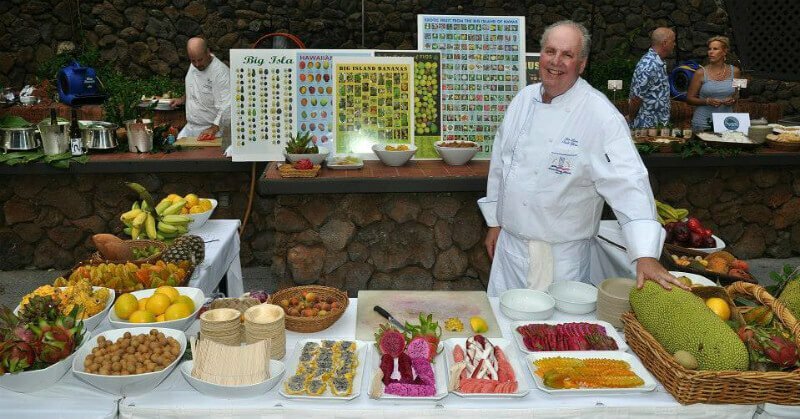 Chef Ken Love smiles while at an exotic fruit station, containing some of the choicest fruits, in Hawaii in September 2013. 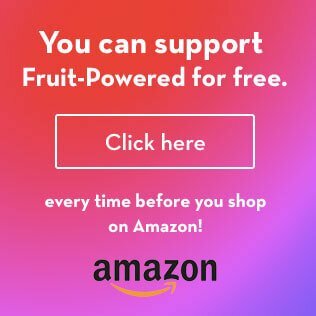 Are you optimistic or pessimistic about the future of fruit, given the increasing commodification of fruits but also expanded selection of fruits in supermarket produce aisles and growth of the fruit-based raw vegan diet movement? I think this is a great time to be in agriculture with the localvore, slowfood and other movements that promote fresh and local happening. It’s also a great time to be in the culinary industry, where these other fruits can be used. Bilimbi, for example, is very popular in the Philippines but virtually untouched elsewhere except as a novelty. It’s amazing fruit that we use instead of vinegar. We juice it and use it in hot sour soup, mango chutney, salad dressings, etc. I think the world will have no choice but to turn more toward raw, vegan and gluten-free diets, etc. People are slowly seeing the difference in health that those early adopters have benefited from. I guess I’m not supposed to say I’m vegan if I cheat sometimes, so I’d say I am 95 percent vegan and have Celiac disease so have no choice but to be gluten-free. If I had the energy, time and resources for a full-time chef, I could easily be raw or fruitarian. There are times that, after nine hours out in the field, I don’t have the energy to make something, so I open a can of beans. What is the biggest aspect of fruit that people are missing out on? Relishing the experience of growing and picking it. Also, unless you know where to go and find it on a farm, fruit stand or health food store, you seldom will ever find anything worth eating in commercial markets. When the kids talk about how good a frozen durian is, I would rate that as about ¼ out of 10. They will blow their minds when they have a real fresh durian. My wife buys grapes at the store, and I can’t eat them. I’ve been totally spoiled by the quality of off-the-vine fruits or, in Japan and India, where things are actually picked when they should be. In Hawaii, we don’t get what I view as edible apples, grapes, peaches, plums, melons, etc. So when I travel, I really enjoy a perfect peach or plum or pear, etc. On Molokai Island [Hawaii], we do have some of the best watermelons, rivaling Japan’s. I believe that fruit is the key to the planet’s unlocking its potential and restoring much of the world’s paradise. I believe that fruit is the key to improving the health and expanding the consciousness of human beings, giving freedom to fellow living creatures and enhancing the environment. I also believe that fruit is the key to rekindling people’s connection with nature and spirit. You’re someone who has a deep connection with fruit, and I’d like to know about the power you think fruit has and what it can mean to the world. I think you’ve summed things up nicely. For me, I would add what fruit really does is enhances communications between like-minded people from different cultural, religious and ethnic backgrounds. People can sit around a durian or pile of figs or basket of loquat or a giant jackfruit, and it’s like they have been friends forever.